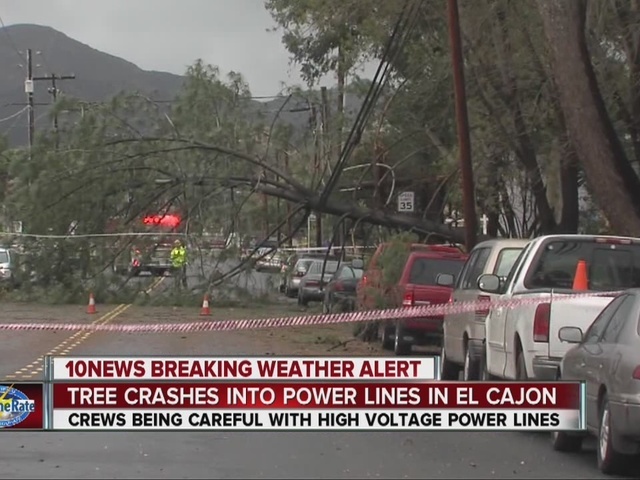 EL CAJON – Trees came crashing down throughout San Diego overnight Sunday as a fatal storm continued to wreak havoc on region. 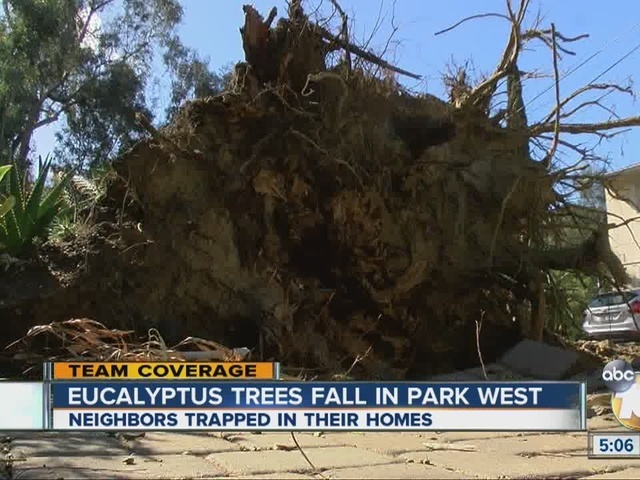 In El Cajon, crews worked throughout the night to down a tree that fell onto power lines in front of an apartment complex on Lexington Avenue. San Diego Gas & Electric crews worked carefully to deal with high voltage power lines. 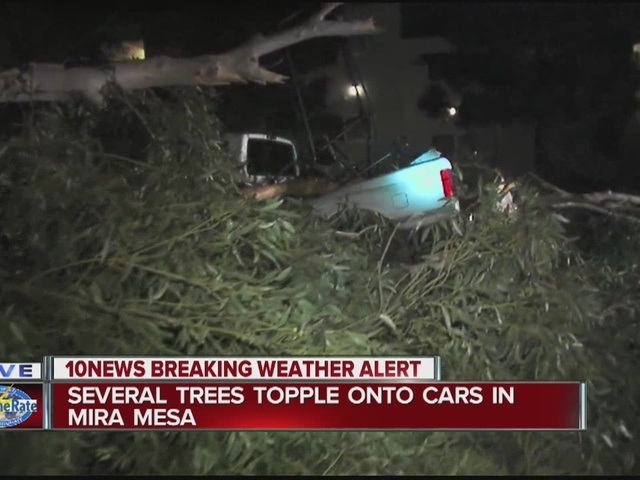 In Mira Mesa, a large tree uprooted and tumbled across the 10100 block of Maya Linda Road, damaging several vehicles. In Hillcrest, a toppled tree blocked westbound lanes of Washington Street, near Ninth Street just about State Route 163. There were no reported injuries in any of those incidents. On Sunday afternoon, one person was killed after a tree came crashing down on their car in Pacific Beach. Rain and windstorms can cause massive destruction. According to the City of San Diego, in the past 24 hours, city emergency dispatch recorded 348 calls of downed or damaged trees. If there’s damage to your home or your car it can open up a complicated process with your insurance company. 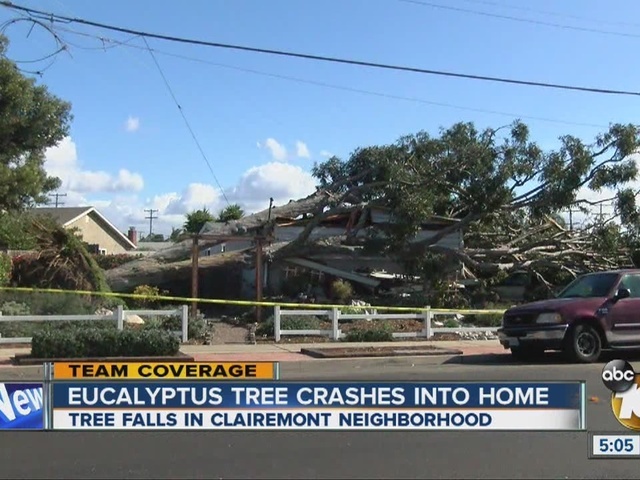 The California Department of Insurance says most property insurance covers damage from rain and windstorms, but there are many exclusions and limitations contained in the policies that are unique to a windstorm.